On the afternoon of Wednesday, Dec. 9, 2015, Liran Albilia set out from Jerusalem towards his home in Nokdim, in eastern Gush Etzion. 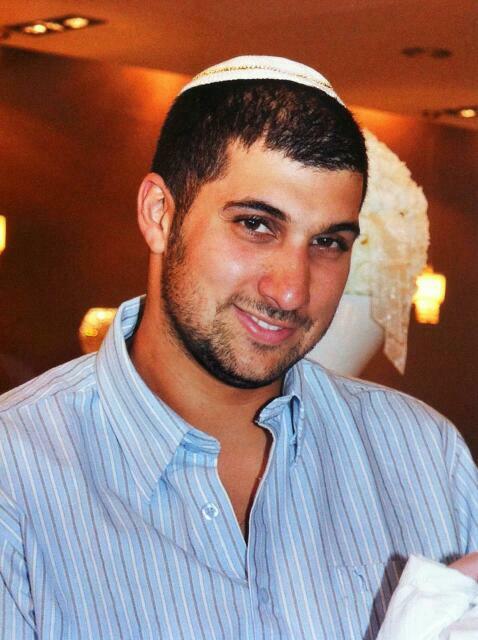 He had celebrated his 34th birthday just the previous day, and party decorations still adorned the walls of his home, adding to the festive atmosphere of Channukah. Tragically, Liran was killed in a road accident on the way home. His sudden death was a terrible shock for his grief-stricken wife and four young children. Along with the loss of a beloved husband and father, there are formidable economic challenges ahead. With the family’s main breadwinner gone, the widow’s task of supporting and raising her children will be a complex and difficult one. In order to help the bereaved family a fund has been set up to help address both immediate and longer-term financial needs, under the management and supervision of the Gush Etzion Foundation. We appeal to anyone who is able to make either an ongoing contribution or a one-time donation to the fund, with the prayer that he/she be richly rewarded from Heaven for participation in this important mitzvah.